Freekeh is not gluten-free. Freekeh—which is found most often in Middle Eastern dishes—is actually another name for green wheat that has been roasted and then cracked. Since wheat contains gluten (as do the other two gluten grains, barley, and rye), freekeh most definitely is not gluten-free, and anyone following the gluten-free diet because they have celiac disease or non-celiac gluten sensitivity needs to avoid anything containing freekeh. Freekeh also is called frik or farik. They're the same thing, so avoid all of them if you need to follow the gluten-free diet. Freekeh (also spelled "freekah") is young green wheat kernels that are harvested before they ripen and turn brown. 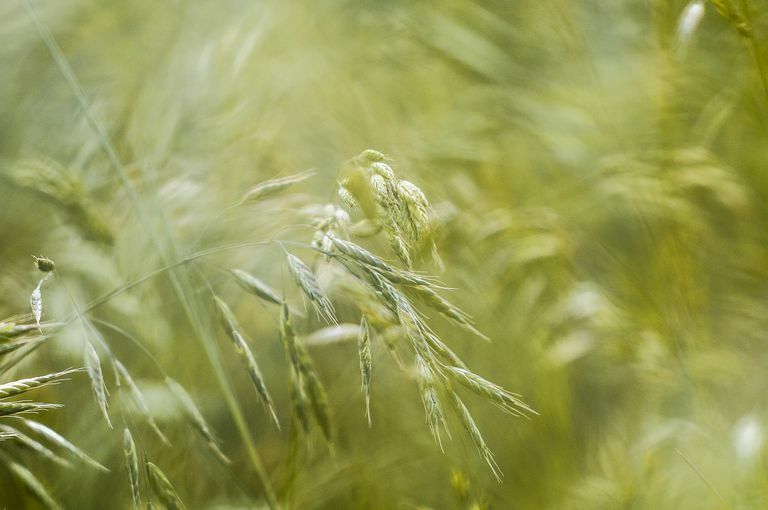 Wheat is actually a member of the grass family of plants. Wheat kernels—the part we think of as the grain—are the seeds of the plant. Those kernels or seeds also are the parts of the plant that contain gluten. Gluten is a so-called "storage protein"—it's the food intended to nourish that seed as it germinates and begins to sprout. Even though freekeh is "green" or unripe wheat, it still contains plenty of gluten. Once the green wheat kernels are harvested, they're roasted to brown and soften them and then cracked to make them edible. Since freekeh is a form of wheat (a grain that contains the protein gluten), nothing that contains freekeh is safe on the gluten-free diet. There are several types of cuisine where you need to watch out for freekeh. Freekeh is a staple food in Middle Eastern cuisine, especially in dishes native to Jordan, Egypt, and north Africa. It's used to stuff poultry, enhance soups and bulk up salads, and it's said to have a better nutritional profile than regular wheat. It also contributes less to spikes in blood sugar than regular wheat. Freekeh is used in grain-based salads that are common in Greek, Italian, and other Mediterranean cuisines. It sometimes is used in place of tabbouleh (which also is wheat—cracked wheat in this case). Other recipes use freekeh in soup, similarly to how one might use barley in a hearty vegetable soup, and in pilaf (instead of white or brown rice). And freekeh is found in roasted vegetable dishes, such as roasted cauliflower. Finally, some chefs tout freekeh as a hot cereal in place of oatmeal, or as part of a granola topping for yogurt. Many vegetarians and vegans use freekeh as a source of protein in their diets, although it obviously isn't well-suited as a protein source for gluten-free vegetarian or vegan diets. Therefore, if you're gluten-free and also avoid animal products, you'll need to identify some alternate ways to get your protein. Freekeh has become popular, in part due to an endorsement from celebrity Oprah Winfrey. The problem for those in the gluten-free community is that it's often labeled just as "freekeh," not as wheat. When this mistake occurs, it would be easy for you to mistake freekeh for some sort of exotic grain that isn't a gluten grain, which could make you very sick. For example, I've seen it as an ingredient in two or three pre-made grain dishes at a local health food store. In those cases, the containers did list the dishes' ingredients... but they labeled the freekeh only as "freekeh," not as wheat. These were grain-based salads, mainly, where the freekeh took the place of an ingredient like bulgur wheat (itself most certainly not gluten-free). If you have a recipe that includes freekeh and you want to substitute a gluten-free grain, you can experiment with long-grain white rice, wild rice, or quinoa. Prepare the gluten-free grain product as you would normally, and then stir it into soup or mix it with additional salad ingredients. Because freekeh has become somewhat trendy, various restaurants and health food stores are using it on their menus and in prepared foods they sell. Therefore, watch out for freekeh in ready-made dishes at your local health food store. It should be clearly called out as wheat (since wheat is one of the top eight allergens), but not everyone is doing this. Scan for it for it in rice pilaf, risotto, and soups. Packages of dried freekeh in a grocery store made the same mistake, failing to call out the fact that freekeh is wheat on their labels. Even more scarily, freekeh has been touted as "the new quinoa." Longtime followers of the gluten-free diet (and even those who haven't been following the diet for very long) know that quinoa is billed as one of the top "gluten-free superfoods." It's beloved for its high protein, mineral and fiber content and its complete absence of gluten. So when freekeh is compared to quinoa, it's easy to jump to the conclusion that it's gluten-free. Freekeh is definitely not gluten-free, so avoid it.